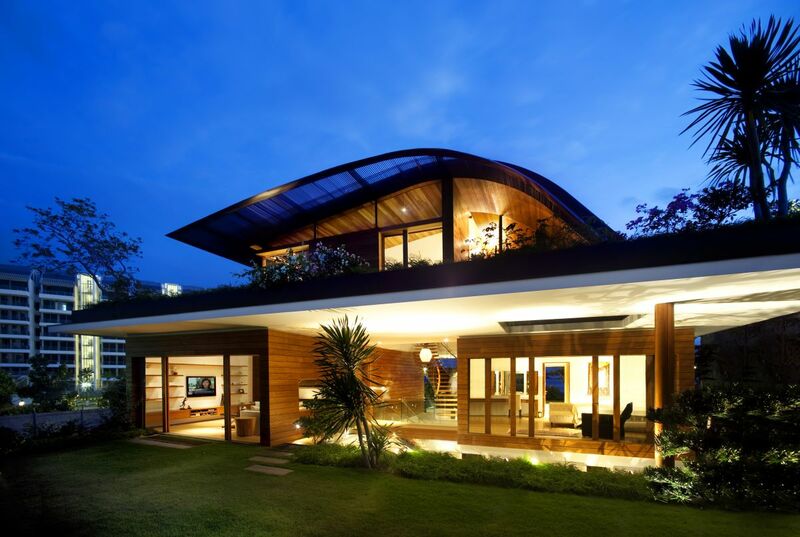 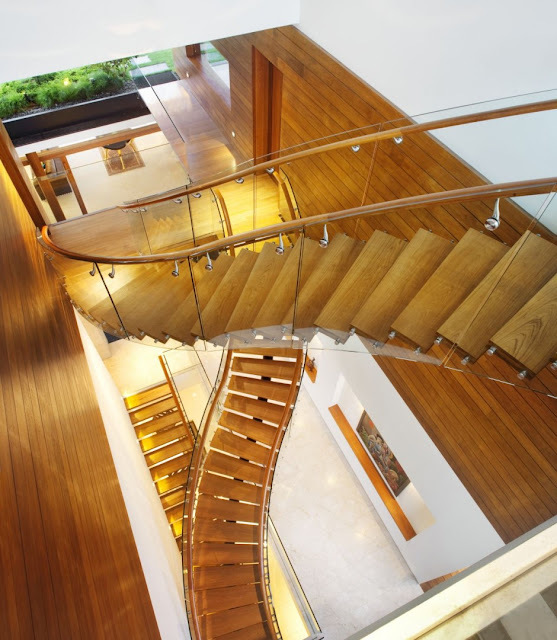 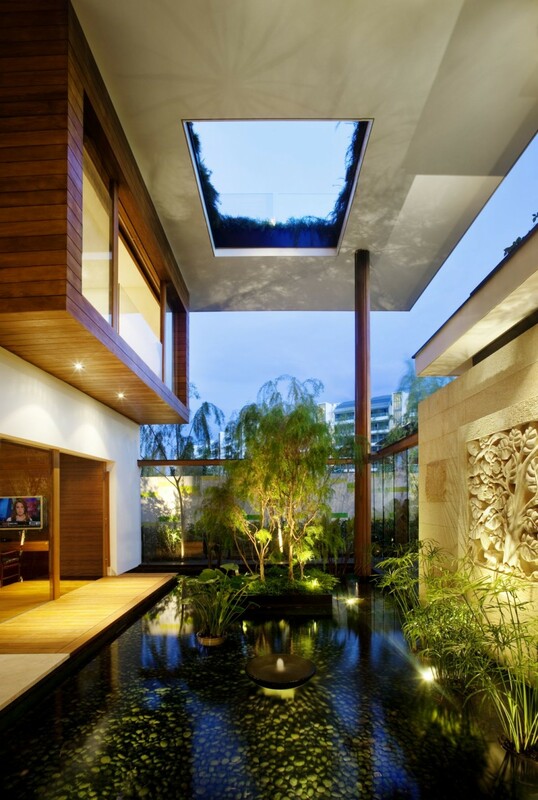 The Meera House was designed by Guz Architects and is located on the island of Sentosa in Singapore. 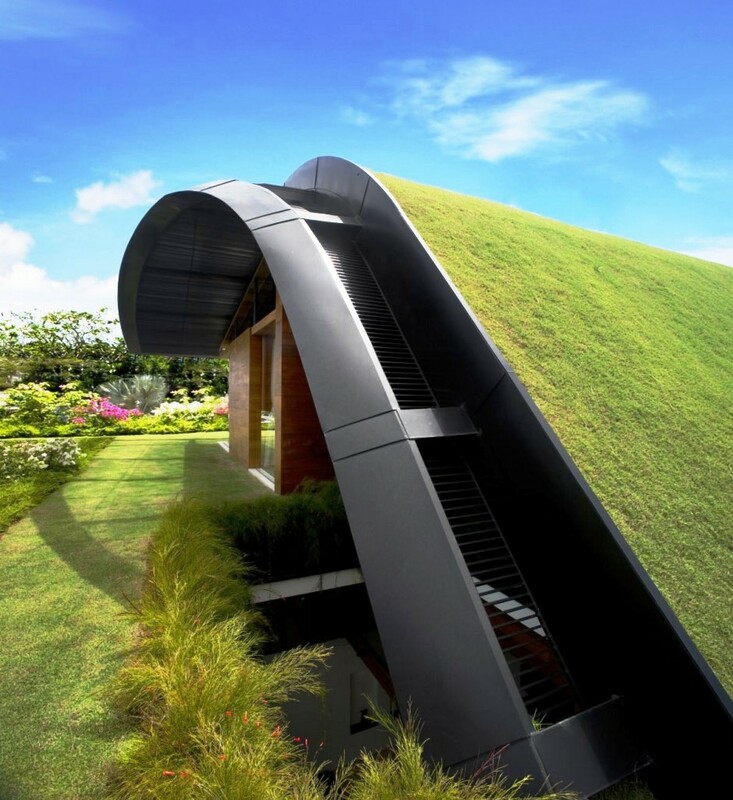 We consider it a daring and original project- after all, not many homes feature green spaces for every floor of the building. 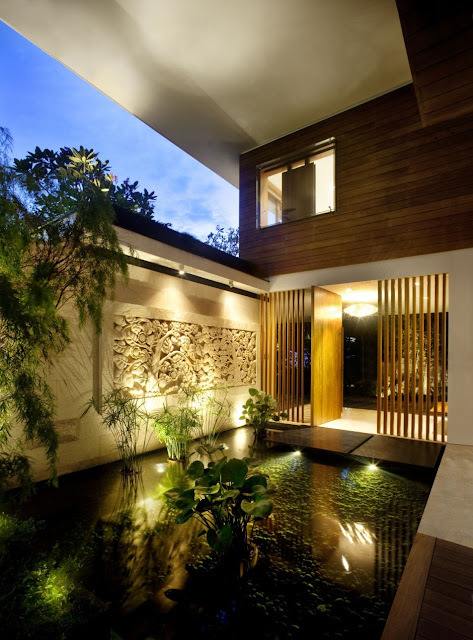 Here is a short description from the architects: The plots on the island of Sentosa are not large and neighboring buildings are built close to the sides of each house. 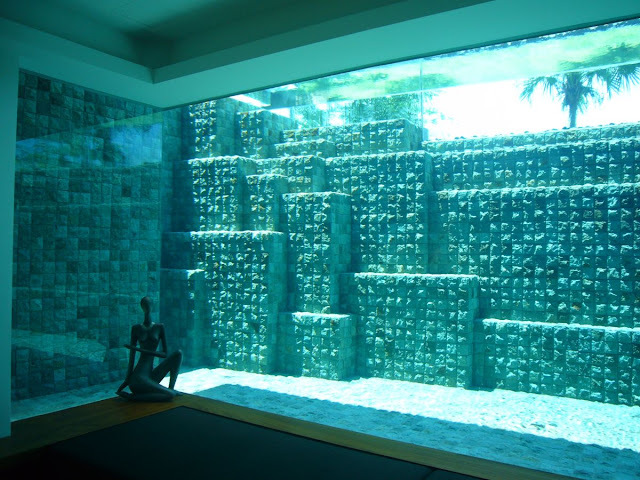 Thus our strategy was to build a solid wall to each side neighbor to provide privacy where possible, while creating a central light and stair well which would funnel the sea breeze through the centre of the building. 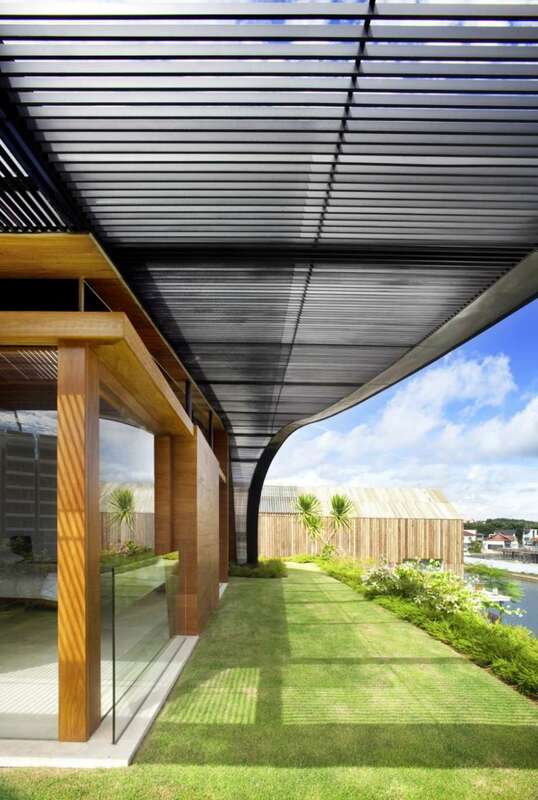 The front and rear of the building meanwhile, terrace back allowing each storey to have visual or actual access to greenery. 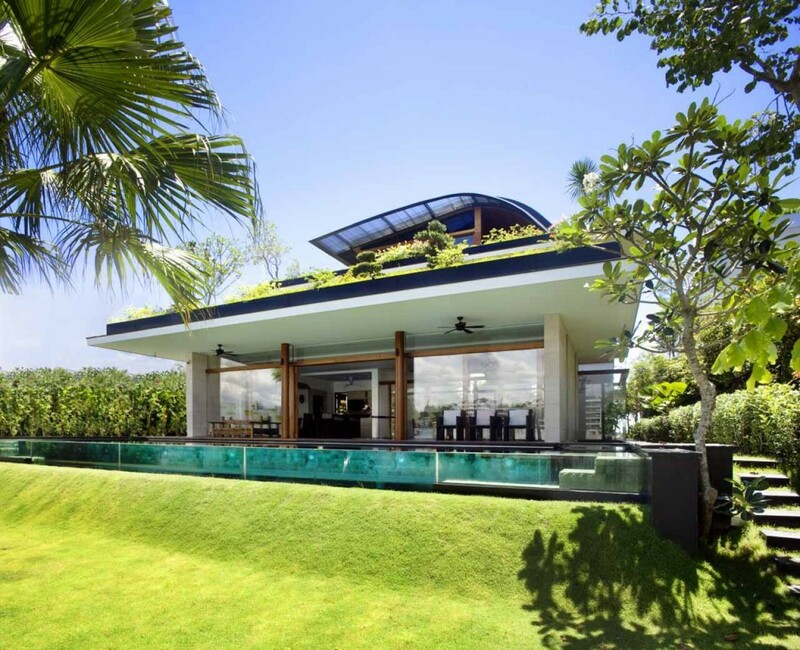 The intention was to try to allow each roof garden provided a base for the storey above allowing the layered effect to make each storey feel like it was a single storey dwelling sitting in a garden…..as much as we could do in the close confines of Sentosa island and with such a large building!! 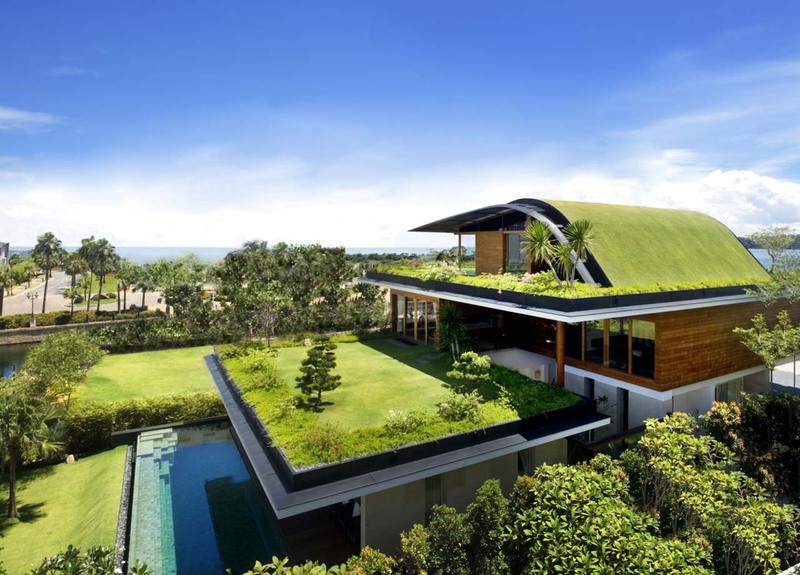 What a wonderful architecture idea and a call to sustainability as well!